Deadline approaching for Wigan Warriors' Gabe Hamlin... but when will we know his decision? Today is the deadline for suspended Gabe Hamlin to make a decision on whether he plans to challenge his doping violation. 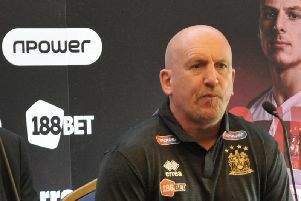 Wigan Warriors' executive director Kris Radlinski revealed the prop has until midnight to inform UK Anti-Doping his intentions. Hamlin can either accept the violation - and the punishment already outlined to him in writing - or he can dispute the charge. But either way, there is no guarantee his decision will be made public soon. UKAD does not comment on individual cases, or even confirm or deny whether an athlete has been charged, until the process has run its course. If Hamlin decides to accept the charge (and consequences), UKAD will publish an 'agreed issued decision' on its website - but it seems unlikely to be immediate. However, the prop has the option to challenge the charge, or punishment. If the 22-year-old's violation relates to a failed doping test, he can request a B sample - and it will take time for a World Anti-Doping Agency-accredited lab to test the frozen sample, which would have been taken at the same time as the initial A sample. He has the right to request a hearing to dispute the violation, outline mitigation or ask for a reduced ban - in which case proceedings can drag on for weeks or even months. With UKAD keeping names anonymous throughout proceedings, it is actually for the athletes themselves to reveal details of the cases, if they choose. 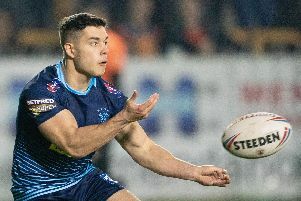 The RFL, which suspended Hamlin, does not name charged players either - and Wigan only revealed Hamlin had been issued a "UKAD violation" after getting his written consent before he flew home to Australia. It has not even been made public what he has been charged with (not all UKAD's 10 violations are for taking prohibited substances; it also includes, for example, evading a test or possession of a prohibited substance). And unless Hamlin chooses to reveal today's decision - either himself, through his solicitor or via Wigan Warriors - it seems likely it will remain private until proceedings have been concluded. He has not posted about his suspension on his Twitter or Instagram accounts and his Facebook account is private.